Presentation of professional photographs by Eric Čermák and Tony Velich's artistic design on a large screen. 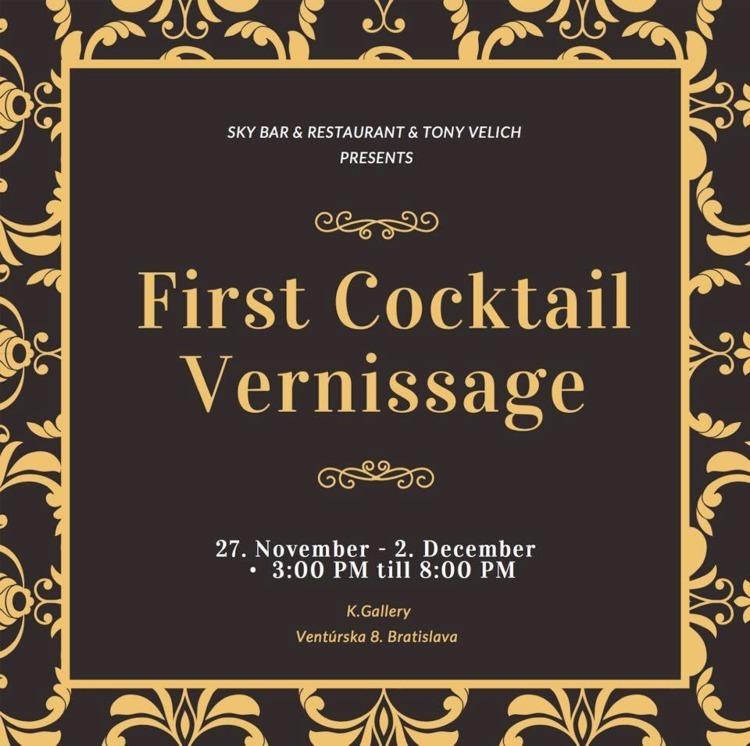 Tony Velich and Sky Bar & Restaurant created the first Slovak cocktail opening in the K-Gallery premises. Presentation of professional photographs by Eric Čermák and Tony Velich's artistic design on a large screen. The aim of the exhibition is to mark the bartender's craft as the art that the bartender creates for his guests every day. Stories and details of drinks captured by a lens in the streets of Bratislava give you a taste for a well-cooled drink. Explore the world of art and a good cocktail.